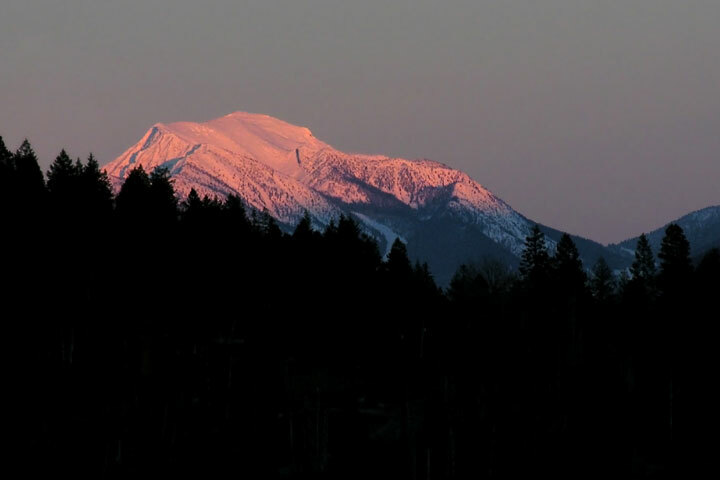 Alpenglow: light from the low Sun colouring the the top of a snow–covered mountain. Connoisseurs usually distinguish between the appearance of the alpenglow when the mountain is still illuminated by direct—albeit, greatly reddened—sunlight, and when it is illuminated by twilight: skylight after the sun is below the horizon. Some claim that only twilight illumination constitutes the true alpenglow, but this restriction does not have broad assent. 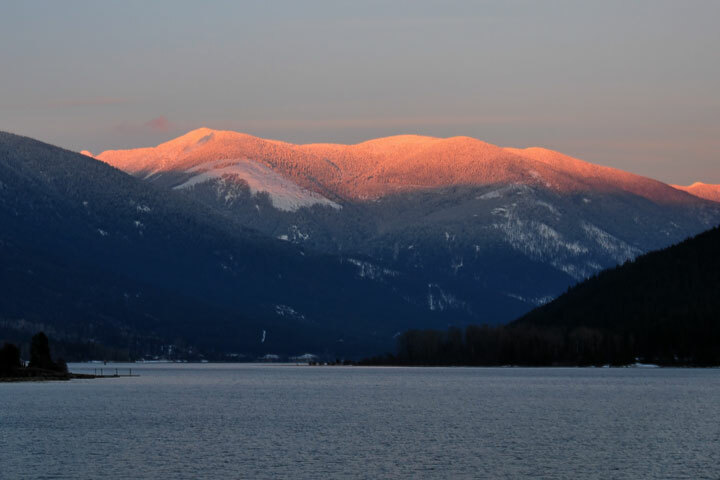 For those along the shores of Kootenay Lake, alpenglow is not all that common. Certainly, in the winter and spring, snow–covered mountains abound. But, for much of that time stratus fills the valleys. Yet, when the sky is clear, and the Sun is low (either sunrise or sunset), the alpenglow can be lovely. The bias of the pictures, below, is clearly the view from the West Arm. I speculate that there must be some lovely views of it on the Purcells as seen from places such as Kaslo. From the West Arm, perhaps the grandest pallet for the alpenglow is Sphinx Mountain (at over 2800 meters). 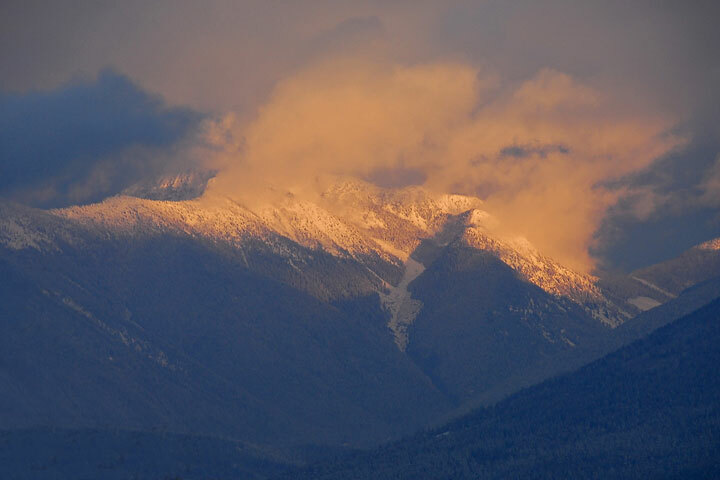 Even lower snow–covered ridges can display the alpenglow. This ridge is immediately north of Kokanee Creek Provincial Park. Another view of the alpenglow on Sphinx. Information from the American Meteorological Society: Alpenglow.